Steven Spielberg first became interested in the global phenomenon that is Tintin after European critics compared the director’s “Raiders of the Lost Ark” to a Tintin adventure, and he quickly acquired the film rights. But it took 30 years for Spielberg to finally make his Tintin film, largely based on “The Secret of the Unicorn,” the 11th in the series by Belgian artist Herge. 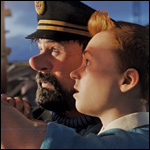 For his first-ever animated film, Spielberg teamed up with “The Lord of the Rings'” Peter Jackson who produced, and shot the film using the 3D motion capture system pioneered by Jim Cameron on “Avatar.” The result cleverly captures Herge’s original colorful and bold graphic style, and with its tale of Tintin’s search for a sunken treasure, the 3D adventures feels perfectly meshed with Spielberg’s own sensibilities. Brit actor Jamie Bell, a lifelong Tintin fan, voices the plucky young reporter, and Andy Serkis the booze-addled Captain Haddock. The 3D computer animated Christmas comedy (co-produced by Sony) was originated and developed by respected U.K. animation house Aardman Studios (of “Wallace & Gromit” fame), and marks the first time Aardman has moved away from its successful stop motion technique into 3D CGI. But with its highly detailed behind-the-scenes look at the complex logistics of Christmas present delivery, and a story of how Santa’s son Arthur must save the day when the operation’s machinery breaks down, the film stays true to Aardman’s skewed take on things. 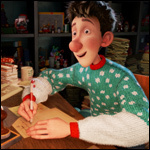 A top Brit voiceover cast includes James McAvoy as Arthur and Imelda Staunton as Mrs. Santa, and the film travels around the world, with such locations as the North Pole, Africa, Mexico, Idaho, Cuba and Cornwall, England, all gorgeously animated. The project took four years to complete, with more than 300 artists contributing to such rapid-fire visual gags as a hand-sanitizing dispenser for hard-working elves. 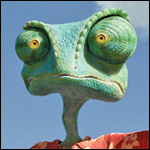 While most animated projects happily embraced cuteness, typically rendered with the popular hard-edged shiny CG look, this subversive Western starring a delusional bug-eyed chameleon antihero went for a photo-real scruffy, frayed look that perfectly matched its “The Good, the Bad and the Ugly” meets “High Noon” vibe. And the funky outside-the-box aesthetic approach was undoubtedly fueled by its creatives’ virgin status in animation — it was the first toon film for both “Pirates of the Caribbean” vet Gore Verbinski and industry VFX powerhouse ILM — which freed them up to play around with conventional methods of animation. Instead of recording voiceover talent alone and singly, Verbinski assembled his actors (including Johnny Depp, Isla Fisher, Timothy Olyphant and Harry Dean Stanton) in a mocked-up saloon set and let the ensemble act out their tale. This untraditional approach, which Verbinski half-jokingly calls “emotion-capture,” resulted in a raw, chaotic but lively audio track, which then drove the visuals. 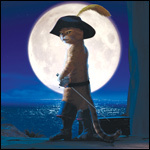 After appearing in “Shrek 2” back in 2004, the feline hero finally gets his starring vehicle in this beautifully animated CG 3D feature, which once again stars Antonio Banderas (in his eighth performance as Puss) as the title character in full Zorro/Latin lover mode. The “Shrek” spin-off was directed by “Shrek 3’s” Chris Miller with an appropriately light and charming touch, executive produced by Guillermo del Toro, and features some inspired voiceover work from Puss sidekicks Salma Hayek as Kitty Softpaws and Zach Galifianakis as Humpty Dumpty, as well as Bill Bob Thornton and Amy Sedaris as Jack and Jill, the murderous villains of this redemption tale in which the tabby has to clear his name. Set in a glowing, romanticized version of old Spain, the prequel to the “Shrek” films has no overlapping characters apart from Puss himself, and marks the first time a DreamWorks Animation feature has been partly animated in India. 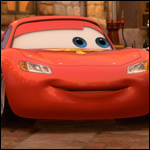 With Pixar head John Lasseter once again in the driver’s seat for the first time since “Cars” (he co-directed — with Brad Lewis — a story he also originated and developed), this sequel (only the second in the company’s history) to the 2006 global blockbuster also went global in terms of its design and storytelling. While the original was firmly parked in the quintessential small-town Americana setting of Radiator Springs and Route 66, this year’s model roared off to glamourous World Grand Prix races in Japan and Italy, with pit-stops in France and the U.K. before returning home to America. The expanded horizons, reportedly inspired by Lasseter’s travels around the world promoting “Cars,” provided fresh backdrops for Pixar’s flashy CG animation and visual jokes (Britain’s queen appears as a Rolls-Royce) and a layered storyline that combined the visceral thrills of racing with James Bond-style international intrigue and spies.